Nearly one-quarter of all parents said their child’s school today doesn’t put enough emphasis on science curricula. And 30 percent of parents with children in kindergarten up through fifth grade say there’s too little emphasis on science. 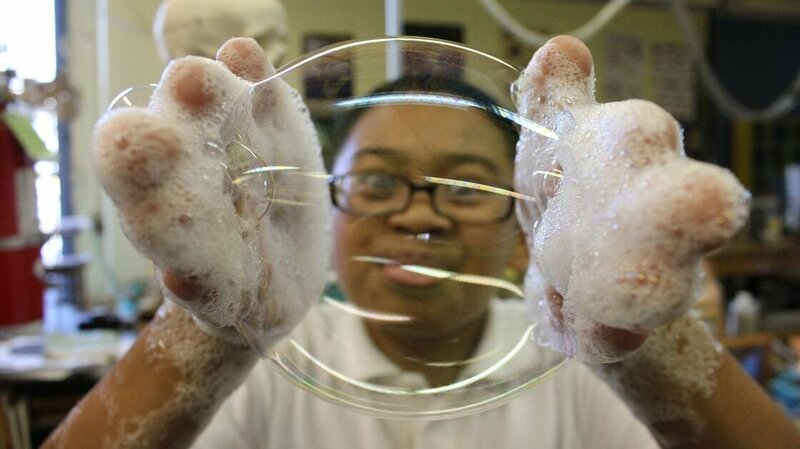 “We want to see these kids get excited about science and math. We’re lagging!” says Elizabeth Hall, one poll respondent and a mother of two who lives in California’s sprawling central valley north of Fresno. Hall says her state has created a culture of testing that has resulted in high rates of teacher burnout and low expectations. Her community, she laments, has made peace with academic mediocrity in the sciences. One of Hall’s daughters, a high school sophomore, is so frustrated and underwhelmed by her district’s biology and chemistry classes that she is reconsidering her once-strong desire to train for a medical career. “There’s no enthusiasm from the teachers. There’s no love of science. There’s no showing these young people that science is important in their lives. It’s just another class,” Elizabeth Hall says. Her daughter, 15-year-old Grace Hall, says there are solutions, in her view: Help show her how science is relevant to her life and future job prospects, she says, and go deeper into how students arrive at answers. 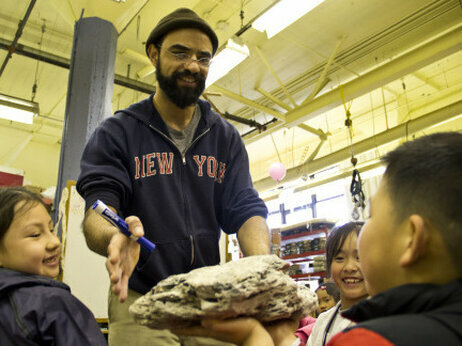 Teacher Aaron Martin and his class examine lava rocks before making their own at the Mission Science Workshop. State and federal statistics show that at least one-third of all students entering higher education programs today need some kind of remedial or developmental course work. That fact underscores a worry about a widening science-skills gap that is shared by many parents and educators and some in business and academia. International tests show that American students just aren’t measuring up, especially in math and science. The recent Program for International Student Assessment (PISA) study shows that the U.S. ranks 28th globally in science. For example, he explains, maybe it’s easier for some kids to learn about math and science by helping to make something that serves a real-world function, like a circuit. It’s not all free-form exploration. After the pandemonium subsides, students semi-calmly work to build terrariums as they explore the life cycle of plants. “When they explore, they’re excited. They find things they are interested in,” says Paul Revere Elementary teacher Jessica Huang, who takes her classes to the workshop regularly. “They want to go back to school and check out books about things that they’ve explored. “So I see it as a way of really opening their eyes to things that they didn’t know that they would even be interested in,” she adds. It’s perhaps the kind of elementary school science program that many parents in NPR’s education poll say is missing in their own communities. Minnesota teacher Mary Colson has helped write a new set of national science standards calledNext Generation Science Standards. The standards emphasize getting kids engaged in practicing science, she says, and getting more students to think like scientists.